We’re proud to say that, hand on heart, our current menswear range at Apache is as good as it has ever been. This blog is devoted to the best AW17 menswear arrivals from our three biggest brands — Fred Perry, Farah, and Lyle & Scott. Use the offer code NEW2017 to claim 10% off all new menswear by these three special brands. Lyle & Scott always put out great seasonal sweatshirts, and this new arrival lives up to our high hopes. The “Ponte De Roma” sweat comes in Mid Grey Marl (pictured) and Navy and is made with a quality cotton jersey fabric for silky-soft comfort. The simple design is the key to its versatility — you can wear it with a pair of jeans or lounge wear for an unbeatable casual look. We get a lot of customers asking us about the warmth of our Autumn/Winter outerwear. This fleece-lined jacket is just the ticket for those worried about the winter chill. It boasts giant pockets, a comfy hood and showerproof outer layer. 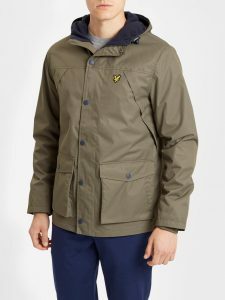 The high quality material is relatively lightweight, exposing the myth that you need a heavy, bulky jacket to stay warm. Browse the AW17 menswear range by Lyle & Scott here. 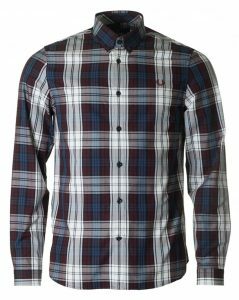 Casual shirts are an underrated weapon in Fred Perry’s arsenal. This year, the heritage masters have pulled off a Superb Oxford shirt with a striking Tartan pattern. Featuring button cuffs and a button down collar, the shirt is classy enough to pass as semi-smart for when you want to impress. There’s also a “Winter Tartan” version worth checking out. Here’s a great example of a hybrid design — knitwear crossed with a polo shirt. 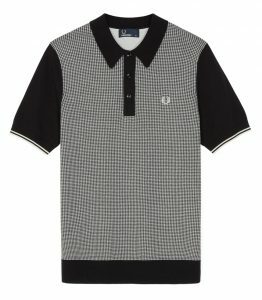 Its heritage dates back to when Fred Perry dominated the world of tennis; he often wore a knitted polo designed to “bridge life on and off the court.” The woven “Houndstooth” design is unique in our entire menswear collection, and would make a perfect Christmas gift. 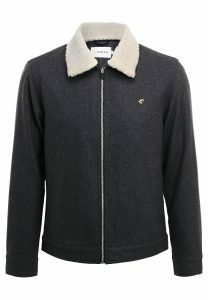 Farah’s “Otley” bomber jacket, introduced a few years ago, has fast become a winter staple at Apache. The AW17 menswear version keeps all the classic hallmarks, starting with the instantly recognisable “Sherpa collar” (which is easily detachable) and tough Melton wool fabric on the body. The inside lining is wadded for an extra layer of warmth and comfort. Another classic design, Farah’s Oxford shirt is updated twice a year with stunning new colours. Our pick for AW17 is this bold Bordeaux colour, complimenting the small white buttons. As usual with an Oxford shirt, the fabric is crucial — Farah treats you to a crisp, 100% Cotton Oxford weave that you can wear in comfort all day, every day. Browse the full colour range here. Get your Christmas shopping in early — and grab a 10% discount — with our offer code NEW2017. Simply type in the code at online checkout for great deals on AW17 menswear. 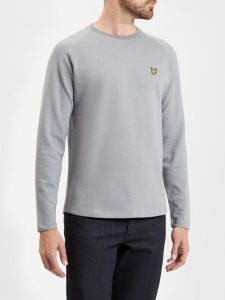 PreviousBlack Friday Menswear Deals on 2018 Early Releases! 10% Off All New Jeans and Knitwear!